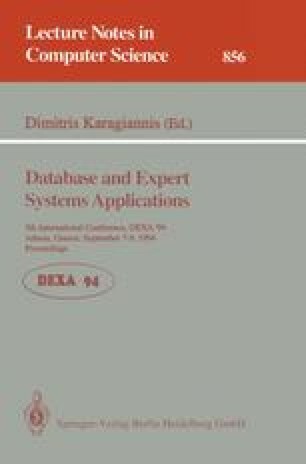 How does knowledge discovery cooperate with active database techniques in controlling dynamic environment? A dynamic environment, such as a production process, a communication network, highway traffic, etc., may contain a huge amount of information, changing with time, which is a valuable resource for understanding the general behavior of the environment, discovering the regularities and anomalies currently happening in the environment, controlling an evolution process, and intelligent modeling or managing the environment. Unfortunately, the data generated in a dynamic environment are often expressed in low level primitives and in huge volumes. Because of the dynamic, continuous and rapid changes of the information flow, it is difficult to catch the regularities and anomalies in a dynamic environment and react promptly for real-time applications. In this study, a knowledge discovery technique is integrated with data sampling and active database techniques to discover interesting behaviors of a dynamic environment and react intelligently to the environment changes. The discovery of the dynamics in a computer communication network and the application of the discovered knowledge for network management are taken as an example in our study. The study shows (1) data sampling is necessary in the collection of information for regularity analysis and anomaly detection; (2) knowledge discovery is important for generalizing low level data to high-level information and detecting interesting patterns; (3) active database technology is essential for real-time reaction to the changes in a dynamic environment; and (4) an integration of the three technologies forms a powerful tool for control and management of large dynamic environments in many applications. The research of the first author was supported in part by a scholarship from the Ministry of Education, Science and Culture of Japan, that of the second author was supported in part by the Ministry of Education, Science and Culture of Japan under Scientific Research Grant-in-Aid, and that of the third author was supported in part by grants from the Natural Sciences and Engineering Research Council of Canada and the Centre for Systems Science of Simon Fraser University. The work by the first author was done during his visit to Simon Fraser University in 1993.